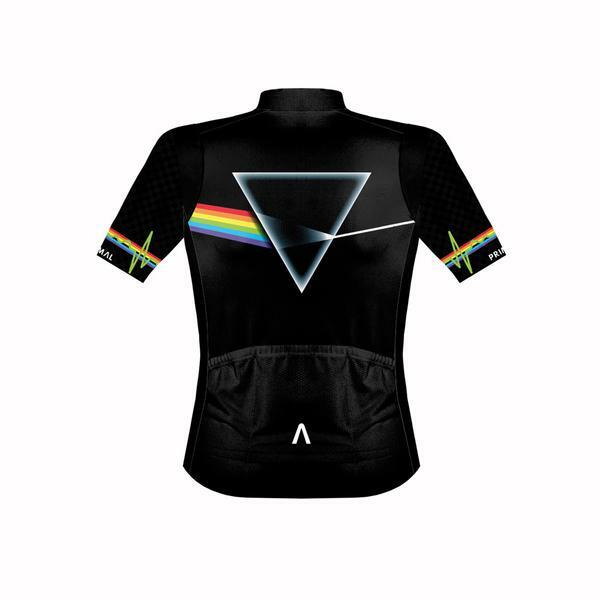 Men's Pink Floyd The Dark Side of the Moon Helix Jersey. 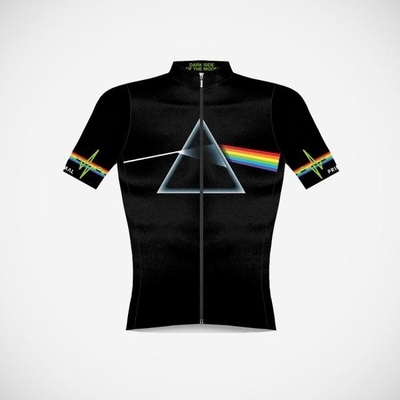 Our AE Elite fabric is made from 4 way, mechanically-stretched black nylon or white polyester. The white polyester is ideal for sublimated panels or bib straps and displays much more prominently when compared to your father’s white polyester leisure suit last seen in poorly-lit photos dating back as far as the Nixon administration.